It’s that time of year again – Christmas. Okay it’s only early November but the Christmas lights have been up in London for some time already and the shops are bulging with decorations, food and ideas to make it your best Christmas ever. All that sort of stuff. For me the best part of Christmas is the chance to spend time with friends and family – and of course, the food. So I was delighted to get an early taster of Spaghetti House’s tasty Christmas offering. I do love this family-run group of London restaurants. 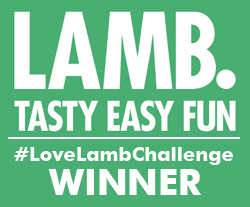 You’re guaranteed top quality, authentic Italian dishes, it’s great value for money and there’s always a warm welcome. The set Christmas menu offers a choice of four starters, mains and desserts. So something to suit everyone. We watched the expert chefs led by Achille Travaglini prepare everything fresh in front of us. 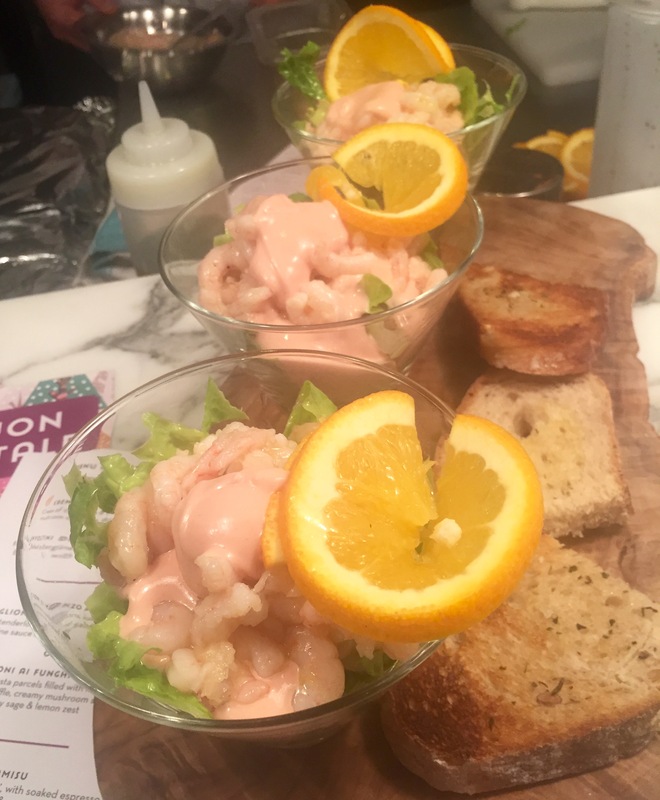 Achille was also happy to share some of his top tips with us, like the use of orange zest in his prawn cocktail to give it an extra zing, and a slice of orange to serve for colour. Here’s a taster of what you can enjoy for your Christmas celebration. 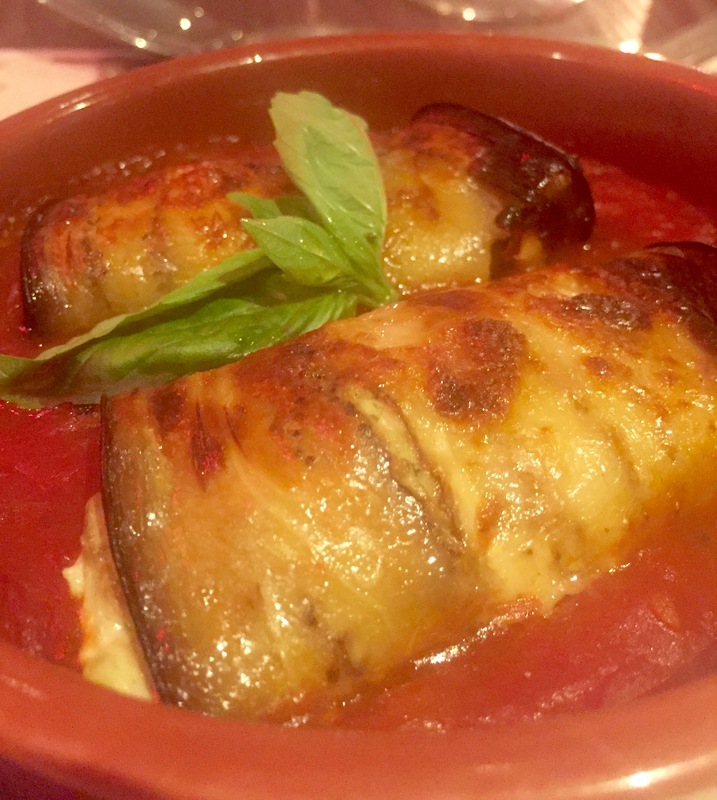 The involtini di melanzane al forno is a generous portion of baked aubergines stuffed with basil and ricotta with Napoli sauce. Beautifully rich and satisfying, and extremely cheesy. A deliciously indulgent starter. 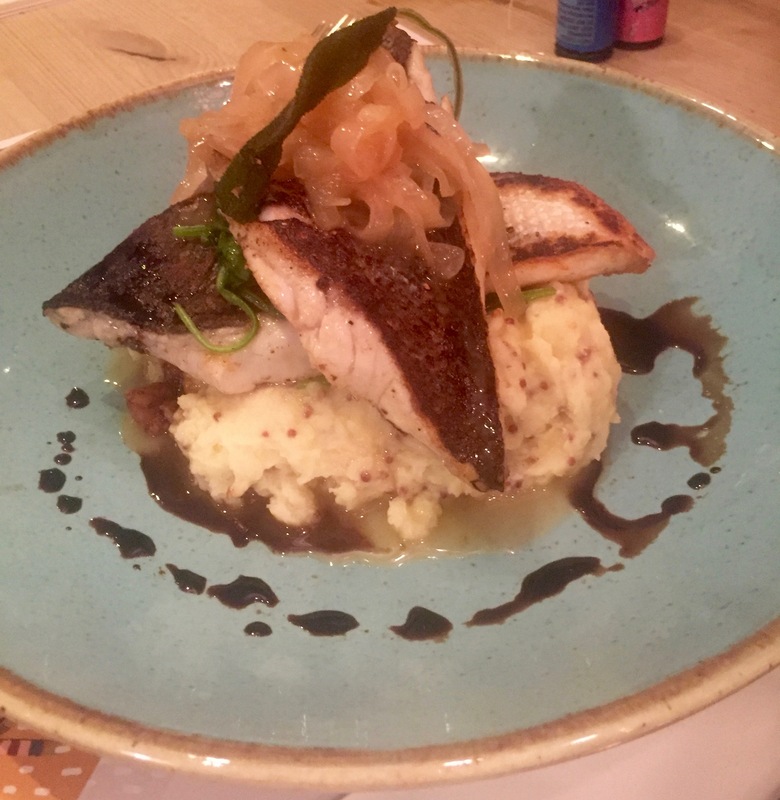 The sea bass fillet (branzino also scalogno) came with shallot dressing and balsamic drops, grain mustard mash and spinach. Sweet and perfectly pan-fried fish topped a pile of smooth, zesty mash. 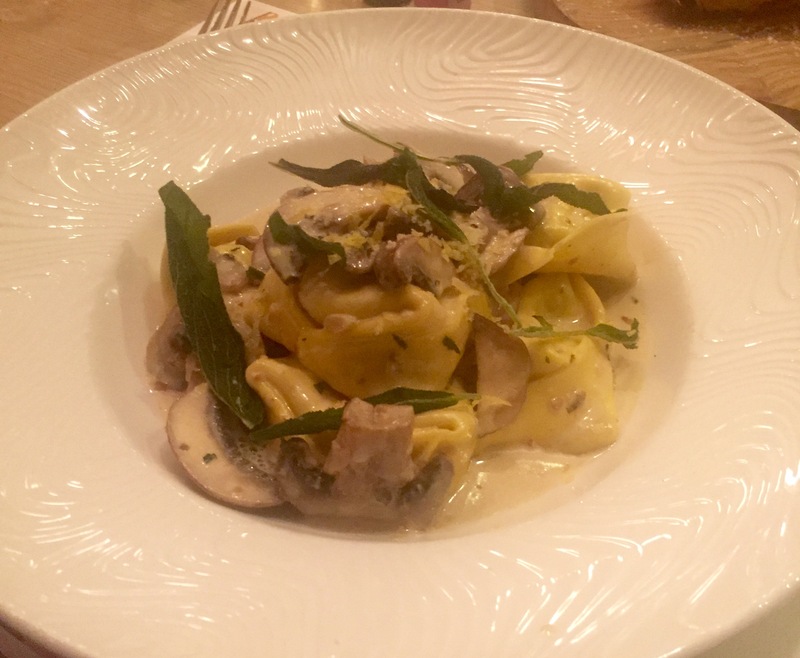 Pasta lovers won’t be able to resist the tortellini al funghi and tartufo. Handmade pasta parcels are filled with mushrooms and black truffle and served with a creamy mushroom sauce, crispy sage and lemon zest. For red meat lovers there’s the medaglioni di manzo al vino rosso. 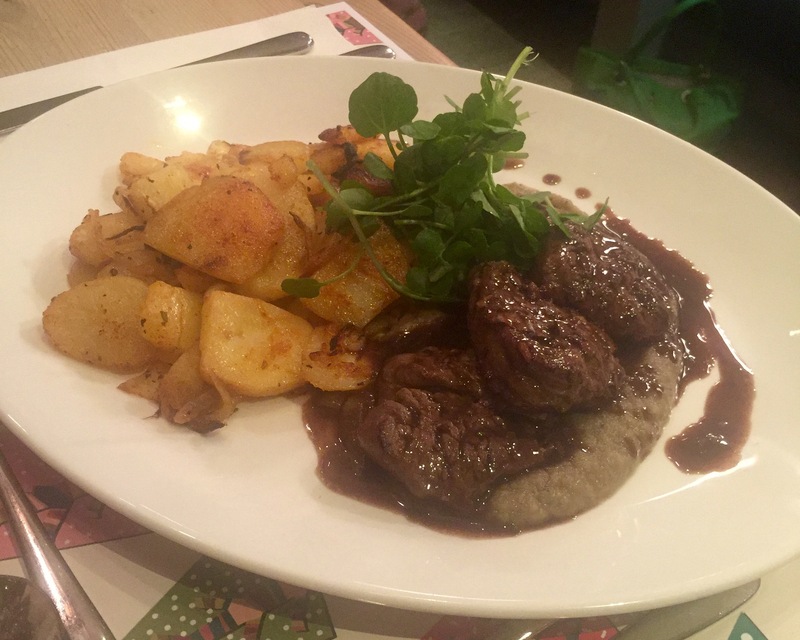 Beef tenderloin medallions are served on a bed of aubergine puree with a red wine sauce and smoked sautéed potatoes. 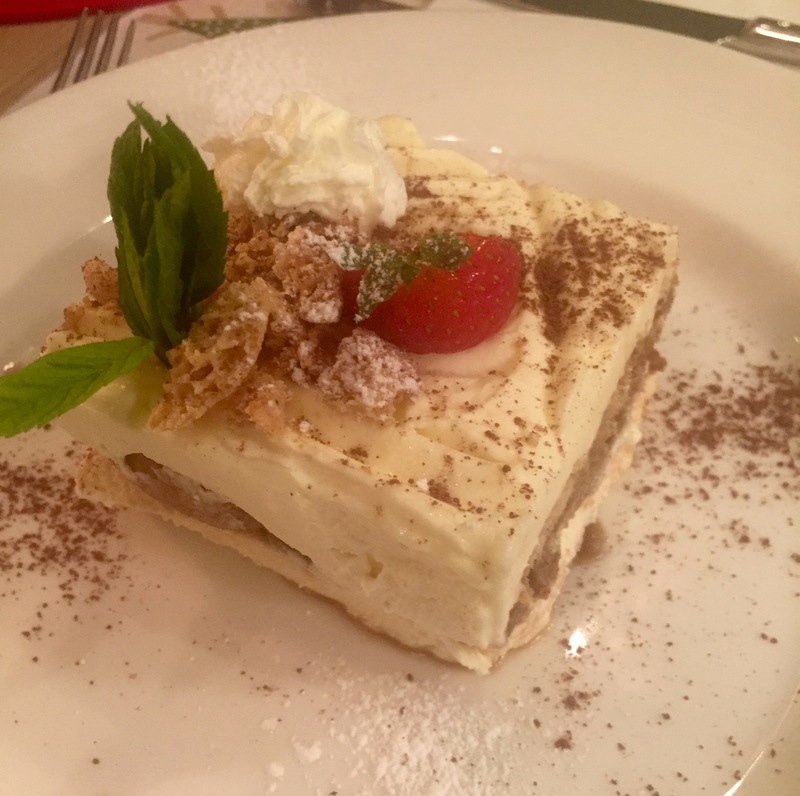 Italian desserts are my absolute favourites and I do love a good tiramisu. Made here with soaked espresso biscuits, mascarpone and amaretto liquor. Simply yum. 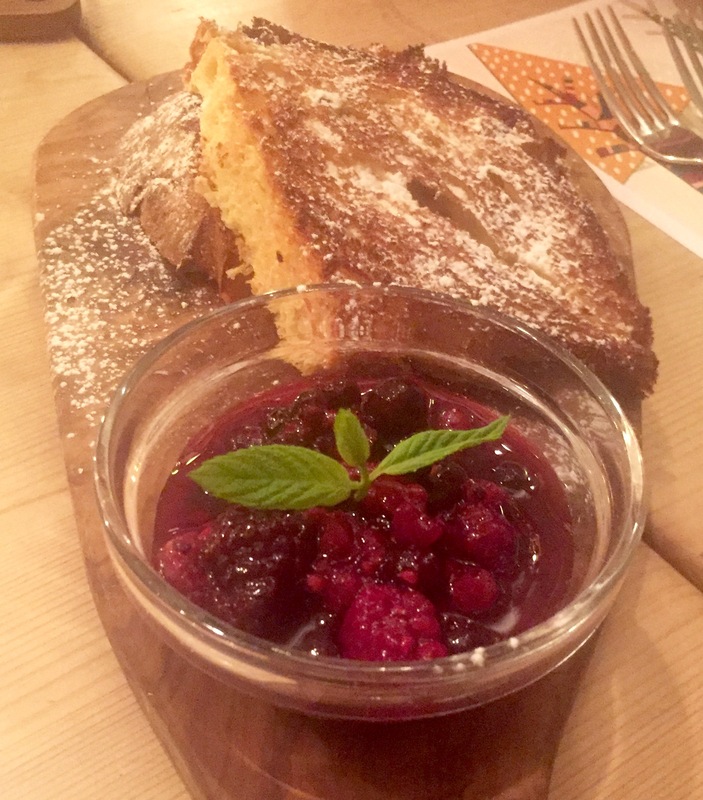 Winter fruit compote came with toasted traditional panettone – feather-light panettone soaks up the richness and syrupy-ness of the compote. 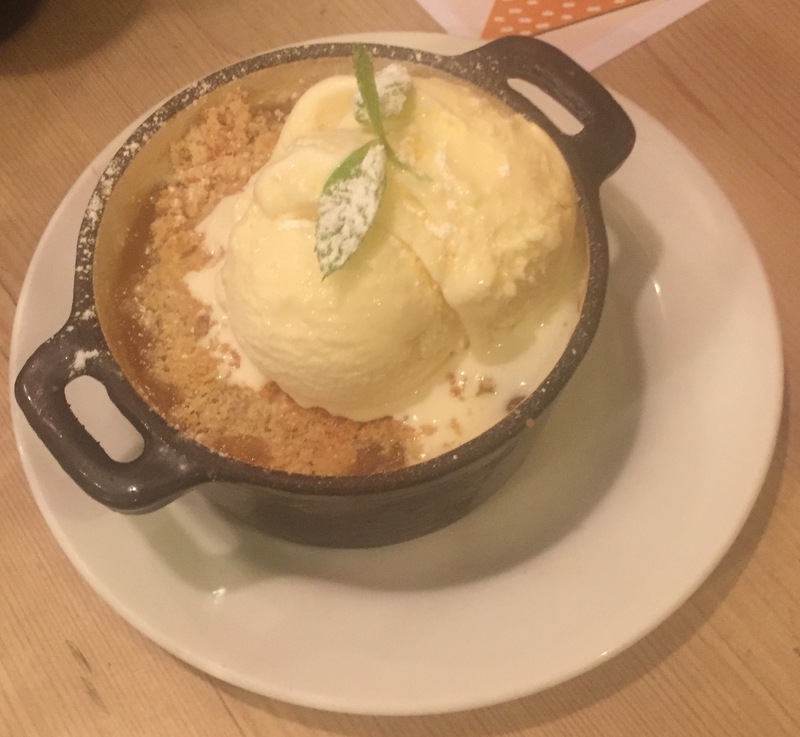 There’s also an Italian version of crumble – the Bramley apple crumble is served with a large dollop of vanilla ice cream. Of course there are also traditional choices available like chicken liver pate to start, roast Norfolk turkey with all the trimmings for mains and a stunning Christmas pudding with brandy sauce. The Christmas menu is available from 21 November to 21 December 24 2016. Spaghetti House’s Menu Natalizio (Christmas menu) is great value at £16.95 for two courses, £19.95 for three courses or £29.95 for three courses with half a litre of wine. Sounds devine. A depart from traditional fare. Think we need to spend a xmas in the UK sometime ! London is absolutely amazing at Christmas, you should definitely see it.